Even when I mess up – which is daily – I’m still loved. In the middle of a mess I’ve created, I am still loved. No amount of shame or guilt will keep me from His love. In fact, shame and guilt bring me to His love. As we recognize our sin, we can leave it behind and run to our Father. He is waiting, you know. Waiting to bring us back home. He is ready to bring us to the place where He can change us. Not only are we loved, we are also….. I start with this list because loving other people is H.A.R.D. My children, spouse, family, and especially other women are HARD to love! How do we do it? One step. We remember how much we’ve been loved. Amen, right? Love that is fearful shrinks back when the feelings just aren’t there. Instead of reaching out and choosing to love that one, fear holds us back and keeps us from making the better choice. Yes, a choice. Love is NOT a feeling. Love is a choice. Not a lesser choice, but a better choice. It is always better to choose love. It is not lesser love to choose it either. Loving a person for who they are (the good, the bad, the unexpected bad – through grief, heartache, and loss) is the braver kind of love. I am choosing love then I hold her and kiss her, even if she doesn’t respond it. I am choosing love when I keep trying. Keep showering her with hugs and smiles. It is loving fearlessly when we love through all the pain and rejection – daily. Be faithful to choose love – even if you have to think about that choice everyday, every hour, or every minute. 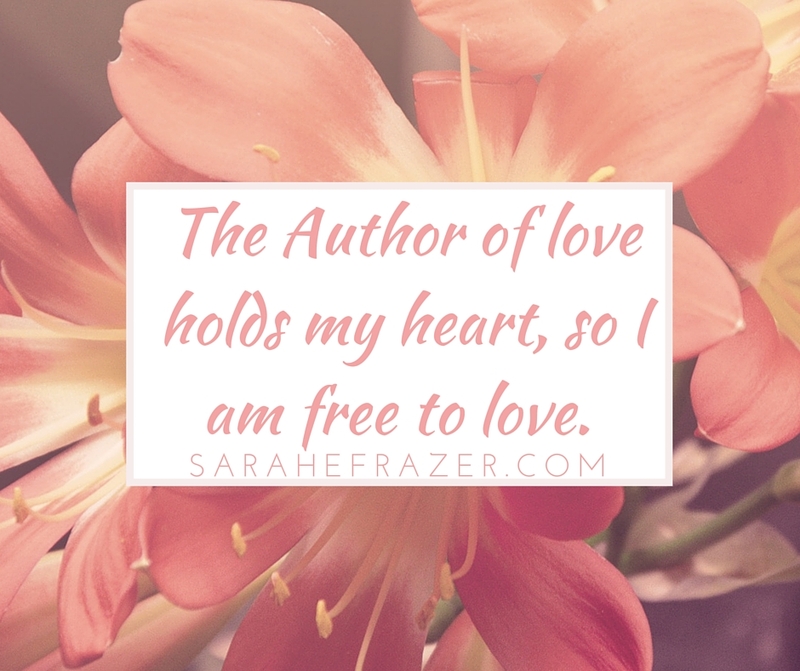 To help with this, I wrote this prayer for love and you can print off the PDF version here. Sometimes it helps to write out prayers. 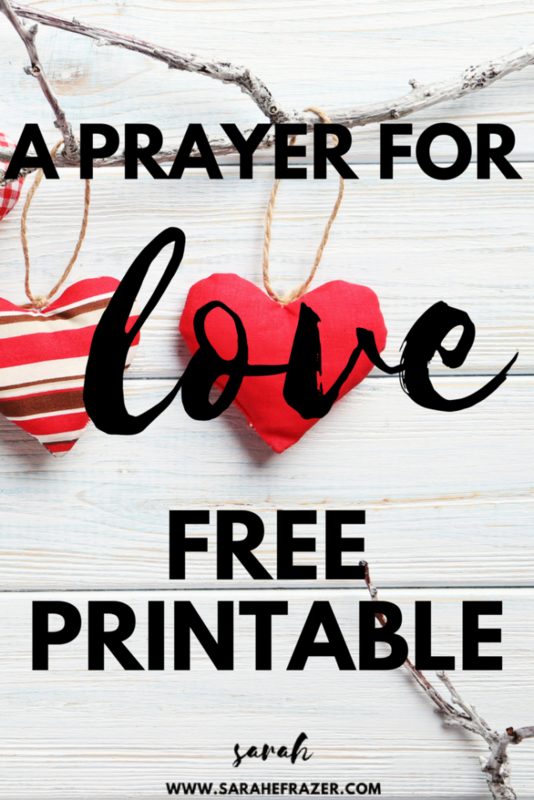 I’ve also include a page for you to print and write your own prayer for love.